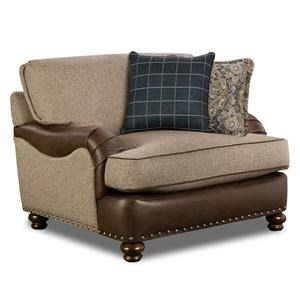 This oversized chair showcases a traditional style with a t-cushion, plush back cushion and pleated arms. The turned legs add more detail to the piece while the accent pillows bring neutral (easy-to-match) hues to the ensemble. 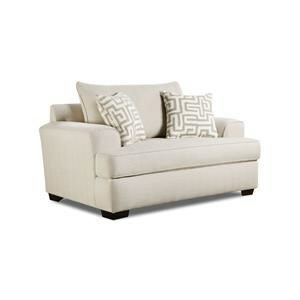 Use this piece as an accent, or with other items from its coordinating collection. The Griffin Traditional Chair and a Half by Corinthian at Great American Home Store in the Memphis, TN, Southaven, MS area. Product availability may vary. Contact us for the most current availability on this product.